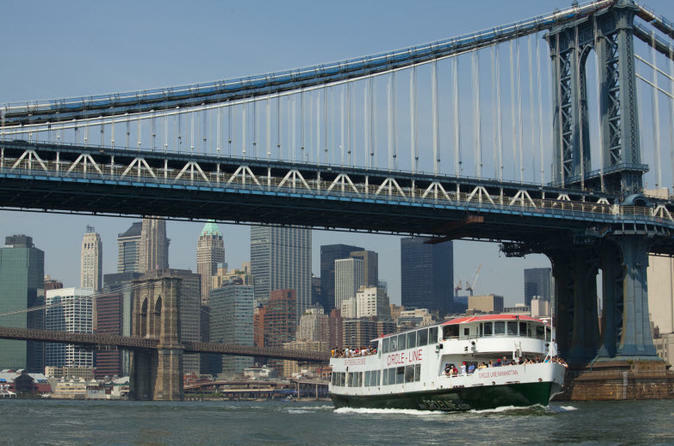 While you cruise, your knowledgeable tour guide acts as part entertainer and part historian, bringing the city's breathtaking sights and fascinating history to life. 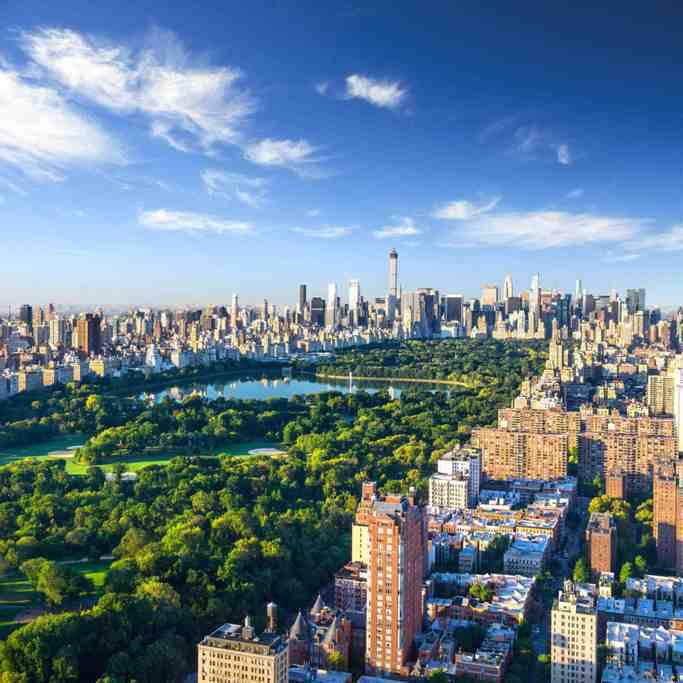 You will discover the secrets of New York City as you sail around Manhattan Island, and see three rivers, seven major bridges including the Brooklyn Bridge, the five boroughs, over 25 world-renowned landmarks and, of course, a magnificent close-up of the Statue of Liberty. Beverages, food and souvenirs are available for purchase on board. Choose to upgrade to premier seating which offers skip-the-line privileges, an exclusive inside area and outdoor patio area onboard, water, and dedicated wait service. In the summer opt for the VIP package upgrade that includes a lunch (Options include Lobster Roll, Burger or Chicken plus coleslaw, chips, soft drink) at North River Lobster located on nearby Pier 83. We took the tour on a chilly, damp afternoon at the end of March. Our fifth day in New York on a week’s holiday from the UK. We’d been to quite a few landmark places and had taken two bus tours so you would think we would have seen and learned everything of interest in Manhattan. Not so! This boat trip was excellent. The guide was extremely informative. We learned and saw so much! The pace and pitch of the guide’s narration was perfect and it was clear that he was a mine of information about New York. All of the obvious stuff and so much more about the make up and history of the boroughs and buildings. We were able to ask questions and had plenty of opportunities to take photographs. Treat yourself and go Premier. We did. Very comfortable seats under cover with, of course, the option to walk around the boat if we wished to. The ‘At Seat Service’ waitress was excellent! Polite and friendly. Prompt. Well worth the extra dollars. If you want to learn a lot about the make up and history of New York - and see and hear all about Sully - take this tour. It really was excellent. Narrator and hostes in the Premeir seating section made this tour, fabulous. I will bring my daughter for a tour. It was a cloudy day as the remnants of hurricane Florence made it's way up the coast so my photos were a little dull looking. The boat ride was nice and relaxing. Most of all we loved the narrator. He made the whole experience very enjoyable! We had a beautiful day for our 2.5 hour tour. Because of bridge work, we were unable to completely circle the island. However, we still saw most of what we expected, and our guide provided excellent commentary. We got great photos and enjoyed the relaxing cruise after several days of non-stop touring. The trip was great. We did the reserved seating and it was ok. The guy doing the narration was GREAT! and made the trip much more enjoyable. We upgraded so we did not have to wait in line. They had a special section for us. they gave you a lovely cookie as a snack. You also had waitress service in this section. Cruise was lovely. Great cruise lots of information and interesting. Beware the high prices for refreshments on board - take your own!